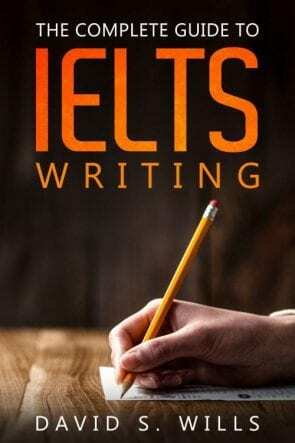 Writing is difficult, and that’s why IELTS candidates usually get a lower score for this part of the test than speaking, listening, or reading. One of the biggest challenges is grammar. Sure, you need to have good grammar to do well in IELTS speaking, and good grammar skills will help you read and listen better, too. However, it is most important for IELTS writing. But most importantly, you ought to know how to use periods (also called “full stops” in British English) and commas. Let’s have a little test. Look at the following sentences and note down which ones are incorrect. For the ones that are incorrect, figure out what is wrong. I want to be a vet, because I love animals. My favourite colour is red, my favourite animals are tigers. After eating a big meal, I felt really full. When went out yesterday I saw a big car crash. I’m going to buy some apples, a banana, and an avocado. For example the founder of Microsoft has given billions of dollars to charity. The answers are posted at the bottom of this page. You should check them now, and then continue reading. There were two correct answers. Did you get them right? Complex sentences are the most common type in the English language, and you probably use them every day, even if you don’t know what they are. I’ll eat pizza when I’m in Italy. When I’m in Italy, I’ll eat pizza. Notice how in the second example I included a comma between the two clauses. Why? I did this because when the dependent clause comes first, the two clauses should be split by a comma. However, when the independent clause is first, there should be no comma. If you really want to go, please take your brother with you. Please take your brother with you if you really want to go. I won’t bother you unless you ask me to. Unless you ask me to, I won’t bother you. You can find out more about clauses, sentence types, and punctuation in my awesome book, Grammar for IELTS Writing. You can get a free digital copy here or buy a paperback version here. Compound sentences are another really important sentence type, and you must know how to use them to succeed in IELTS writing. Basically, they are made of two independent clauses together, and they can be joined together in a few ways. However, as we’re just looking at commas today, I will focus on those. To make this kind of sentence, you need to put two independent clauses together and join then with a comma and a coordinating conjunction (that means one of the following: for, and, nor, but, or, yet, so). She wants to go shopping, but he wants to get lunch. I found a cave, and he saw a bear. She doesn’t like horror movies, nor does she like thrillers. Guns are dangerous, yet Americans are reluctant to ban them. As you can see in the examples, this is a simple kind of sentence to make. You just split the two clauses with a comma, and follow the comma with a FANBOYS coordinator. Some people really dislike rap music; however, it continues to sell very well. In order to succeed at IELTS writing, you need to do well in the Coherence and Cohesion section of the marking rubric. To do this, you need to be using transition phrases (which are also called signpost phrases or connecting phrases). These phrases show the relationship between your sentences and paragraphs, so they are vitally important. There are many kinds of these words and phrases, and some of them are used as in the previous example, with conjunctive adverbs following a semi-colon. On the one hand, people can get sick from the spread of germs. Meanwhile, the price of corn rose by 16% that year. For example, governments around the world could establish trade agreements. Consequently, people are made homeless. With the wind blowing violently, the ship set off on its long voyage. Since 2008, the company has been offering expert advice to customers. In the past, we have made some mistakes, but we are now committed to rectifying them. To make amends, we will be reimbursing all losses. Items in a list should be separated by a comma, and there should be one comma between each item. These can be actual items (noun objects) or lists of ideas or actions. He bought potatoes, carrots, and onions. Last year, the most popular holiday destinations were Paris, Madrid, and Athens. Do you want to go to the cinema, the mall, or the beach? We’re going to go bowling, skating, and dancing. It is important for this sort of sentence to pay attention to parallelism. At its simplest, that means keeping all items in the list in the same basic form. If you use verbs, try to keep the verb tenses the same. The cat likes cat food, the dog likes dog food. Last week we saw a show in London and then we went out to a fantastic restaurant. It is quite common for people to include commas where they are not needed, and some people think that commas reflect a brief pause in speech, or a gap before an idea. This is INCORRECT. It is clear, that we need to get our affairs in order. I want to visit France, because I think it’s romantic. Commas are very common in English writing and there are more uses than the ones I have listed above. However, these are the most important for you to know. You should study these rules and practice writing example sentences of your own. When writing for the IELTS exam, you should ask yourself whether your sentences fall into the categories above, and thus whether you have included commas in the right place or not. If you need help with your IELTS writing, please check out my writing correction service. I offer fast, professional, and affordable help. My students regularly score band 7 or higher after solving their writing problems with my expert assistance. I want to be a vet because I love animals. My favourite colour is red; my favourite animals are tigers. OR My favourite colour is red, and my favourite animals are tigers. OR My favourite colour is red. My favourite animals are tigers. When went out yesterday, I saw a big car crash. For example, the founder of Microsoft has given billions of dollars to charity. Thank you for the useful information. The following sentences appear the same in the question and answer sections: For example the founder of Microsoft has given billions of dollars to charity. Isn’t there should be a comma after” For example”. Thanks! You’re right. I forgot to correct that example in the answer section.